Director Paul Soriano’s highly-acclaimed and multi-awarded independent film “Thelma” airs on Cinema One this Sunday (August 4), bringing back to the screen what still stands as one of Maja Salvador’s breakthrough roles to date. Thelma (Maja Salvador) is a small-town girl who discovers that she has a gift for speed. Born to a poor family in the farming business, her journey into adulthood is surrounded by dealing with school, house chores, and giving time to her more academically-gifted sister Hannah (Eliza Pineda). On the way to school, the two sisters usually decide to take a shorter route, crossing a highway of speeding vehicles. In such cases, Thelma would usually take the lead and sprint ahead, but on one day where she refuses to go to school, Hannah is left to cross the road alone and, without her sister’s leadership, gets hit by a fast-moving car. Driven by guilt, Thelma is pushed to bring out her full potential in what she’s good at in order to further support her now injured family. With the trauma of the accident, Thelma chooses to run—not away from what happened, but towards what she is supposed to do. Playing the role of Thelma, Director Paul Soriano gave much praise to Maja Salvador in this film, saying, “For me, she was the best actress here. She carried the movie from start to finish. There’s no other person to play the role of Thelma but Maja Salvador.” Maja took home two Best Actress trophies from the 35th Gawad Urian Awards and the Luna Awards for her role in “Thelma”. Don’t miss out on “Thelma” as it airs at 8:00 p.m. this Sunday (August 4) on the Blockbuster Sundays movie block of Cinema One (SkyCable channel 56), the country’s number one cable channel. 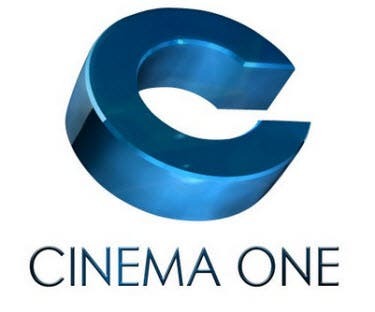 For updates about the program schedule, follow @cinema_one on Twitter and like its official Facebook page www.facebook.com/Cinema1channel. grabe sobrang galing dito ni maja. no wonder nanalo siyang best actress sa gawad at luna.